In terms of volume and surface area, Mauna Loa is the largest volcano in the world. It is also one of the 5 volcanoes that make up the Island of Hawaii, all the way in the middle of the Pacific Ocean. Mauna Loa has been erupting regularly for at least the past 700,000 years, with its most recent eruption occurring in 1984. The most significant hazard Mauna Loa poses to surrounding communities are its lava flows. Although most of the flows from Mauna Loa advance at a slow pace, posing little danger to human life, major eruptions can cause fast moving flows. In 1950 for example, the village of Ho’okena Mauka was destroyed by flowing lava. 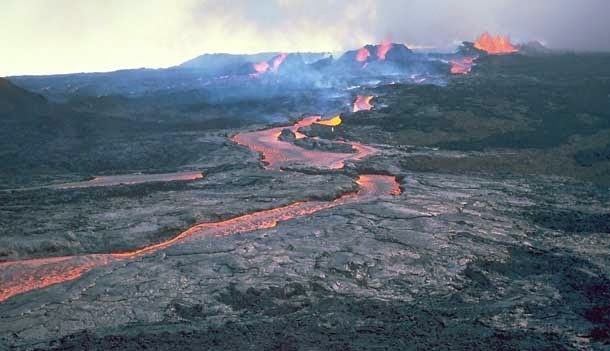 The intense 1984 eruption saw lava flows that moved towards the highly populated Hilo, but didn’t reach any buildings. Another rarer, but potentially more devastating hazard posed by Mauna Loa is the potential for massive landslides triggered by a collapse of the volcano’s flanks. Such a collapse is rare, but it can cause severe earthquakes and megatsunamis. The Taal Volcano is a cinder cone volcano. It is located on the island of Luzon, Philippines where it lies at the middle of Lake Taal. It lies just 31 miles from Manila – the capital of the Philippines and home to 1.6 million people. The Taal Volcano has had 33 recorded eruptions since 1572. While most of these eruptions are confined to the intracaldera area, some eruptions devastate the entire region with its fallout. Altogether, it’s estimated that 5,000-6,000 people have been killed by eruptions at Taal. Even today, the only safe way to view the active Taal Volcano is from a safe distance. Of course, that doesn’t stop adventurers from trekking on “Volcano Island”. Ulawun is one of the most active volcanoes in Papua New Guinea. Eruptions from Ulawun originate from its central crater. There have been 22 eruptions recorded at Ulawun since the 1700s. In recent years, the activity at Ulawun has been consistent, with local residents constantly witnessing relatively small explosions which deposit ash and lava in the surrounding areas. 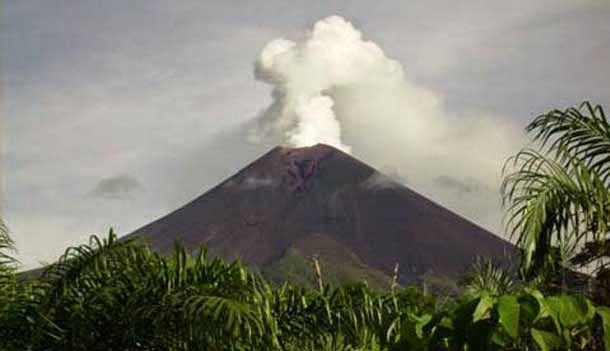 Due to its height, the biggest threat posed by Ulawun is a catastrophic structural collapse, which could generate an eruption that would cause devastation to 100s of square km of surrounding land. Mt. Nyiragongo is one of the most active volcanoes on the African continent. It’s well known for its large lava lakes, which frequently appear in its crater. Nyiragongo poses a unique threat to surrounding communities, as nowhere in the world does a steep sided stratovolcano carry such a large lake of fluid lava. 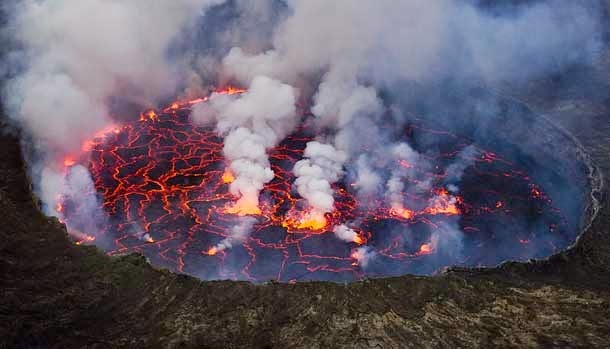 In fact, from 1894 to 1977, Nyiragongo’s summit crater was filled with a large, active lava lake. When the walls of the crater fractured on Jan 10, 1977, the lava lake drained within an hour, causing massive lava flows of over 60 miles per hour. These flows quickly overwhelmed local villages, causing several thousand people. In 2002, another major eruption at Mt. Nyiragongo caused a lava stream to flow through the provincial capital of Goma. Fortunately, the 400,000 residents had already been evacuated, but 147 people still died as a result of the eruption. 4,500 buildings were destroyed in Goma, leaving 120,000 people homeless. Ensuing tremors destroyed even more buildings. Translated, Mt. Merapi means Mountain of Fire, an apt name for the most active volcano in Indonesia, and a mountain that has produced more lava flow than any volcano in the world. Mt. 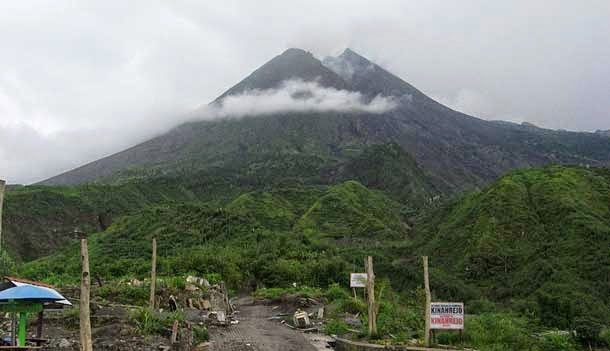 Merapi has erupted regularly since 1548 and has been active for the last 10,000 years. Experts believe that its activity led to the demise of the Hindu Kingdom of Mataram. Currently near its slopes lies the city of Yogyakarta, home to thousands of inhabitants. Mt. Merapi’s infamous lava flows usually travel around 3-4 miles from the peak, though some eruptions cause lava to flow as far as 8 miles. These lava flows can travel as fast as 70 miles per hour. In 2010, an eruption killed 353 people and left 320,000 local residents homeless. 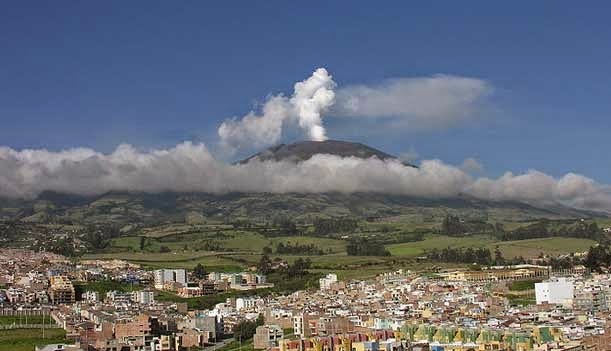 Located in Southern Columbia near the border with Ecuador, Galeras has been active for at least 1 million years. It erupts frequently, with its first recorded eruption dating back to 1580. More alarming is the fact that a city of 450,000 residents – the city of Pasto – lies on its eastern slope. While it went dormant in 1978, it went active again in 1988 after just 10 years. When scientists held a Decade Volcano conference in 1993 to address the dangers of Galeras, an unexpected eruption occurred, killing 6 scientists and 3 tourists. Since 2000, it has erupted almost every year, spouting out ash and lava and causing tremors in the region. 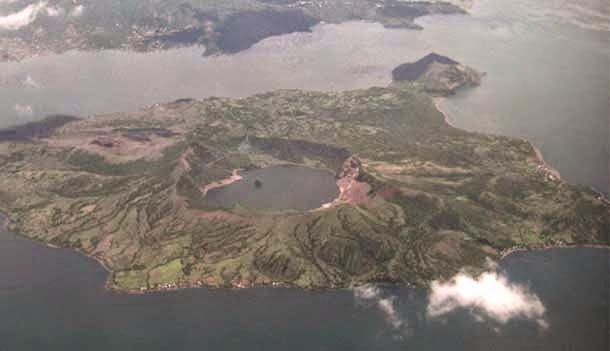 This composite volcano in Japan was once its own island, but lava flows in its 1914 eruption caused it to connect to the mainland. 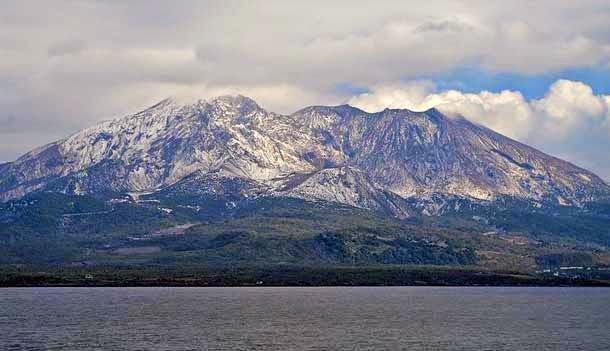 Many experts refer to it as the “Vesuvius of the east”, due to its high level of volcanic activity. Every year, thousands of small explosions come from Sakurajima’s peak, throwing up ash over the surrounding areas. However, a major eruption could have deadly consequences for the 700,000 residents of Kagoshima, who live just miles from the Volcano. The city even has special volcano shelters where people can go to take cover from falling debris. 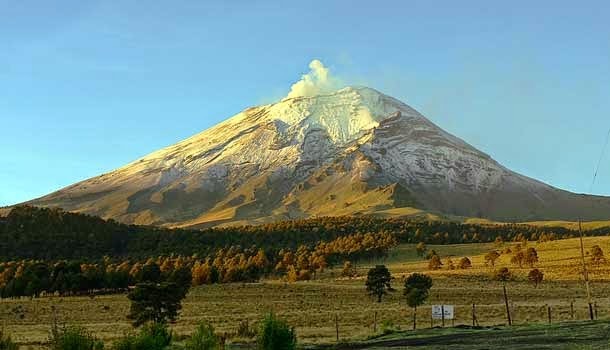 Popocatépetl is a large, glacier covered peak that lies around 35 miles from Mexico City. Around 9 million people live within Popocatépetl’s blast radius, and it has erupted more than 20 times since 1519. It last erupted in 2000. Thank fully, preventative evacuations of 41,000 people from surrounding towns prevented a major catastrophe. Mount Vesuvius in Campagnia, Italy has a history of activity that makes it one of the world’s most dangerous volcanoes. It last erupted in 1944, but it usually has an eruption cycle of just 20 years. 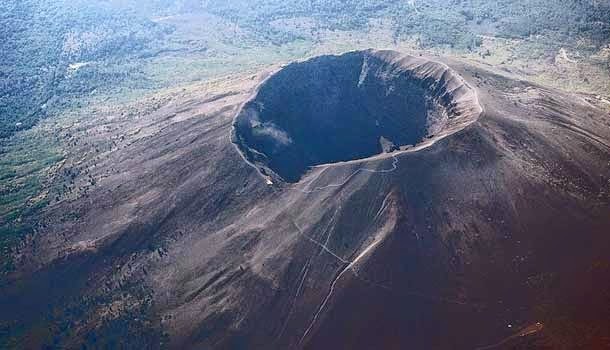 Moreover, 3 million people live relatively close to the crater, as it sits just 5 miles east of Naples. This makes it the most densely populated volcanic region in the entire world. Mt. Vesuvius is the only volcano to have erupted on the European mainland within the last hundred years, and is probably most famous for its massive eruption in 79 AD, when it buried the cities of Herculaneum and Pompeii. 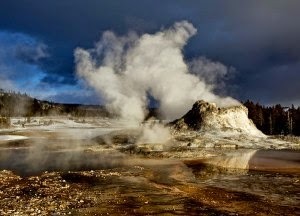 The bubbling sulfuric hot springs and erupting geysers of Yellowstone national park have long attracted tourists from far and wide. The park is breathtakingly beautiful and awe inspiring. But underneath the beauty of Yellowstone lies a super-volcano that has the potential to wipe out the Western United States and alter the course of human history. As the name suggests, super volcanoes are volcanic eruptions that are, well, big. Really big. 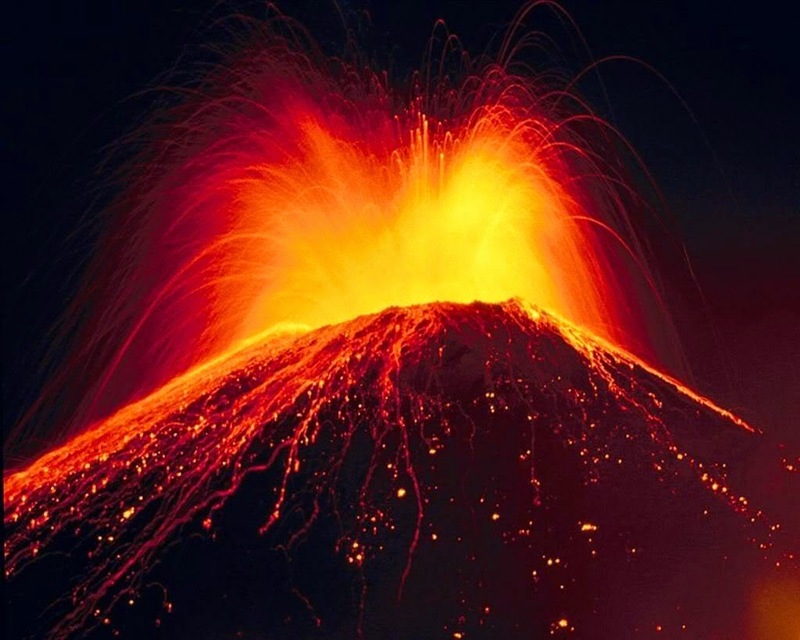 In fact, super volcanoes are a phenomenon that has never been observed by mankind. The last supervolcano explosion we know of occurred 640,000 years ago in Yellowstone. The first known super volcano explosion 2.1 million years ago was an incredible 25,000 times larger than the 1980 eruption of Mt. St. Helens which killed 57 people and hurled volcanic ash around the world. Unlike traditional volcanoes, super volcanoes don’t have a cone shaped mountain, instead they form what are known as calderas – the sunken areas that are left over from previous super volcano eruptions. Essentially, all of Yellowstone is a giant caldera, ready to blow and devastate humanity. Experts estimate that a Yellowstone eruption would kill 87,000 people immediately, while the clouds of ash and gas would enter the jet stream and have untold effects on the world’s food supply.